The Woolsey Fire ignited on November 8 near Simi Valley in Ventura County and rapidly spread to parts of Los Angeles County, becoming the area’s most devastating wildfire in modern history. Tearing through relatively populous areas, it claimed the lives of three people, destroyed more than 1,600 structures and caused the evacuation of over 295,000 residents. 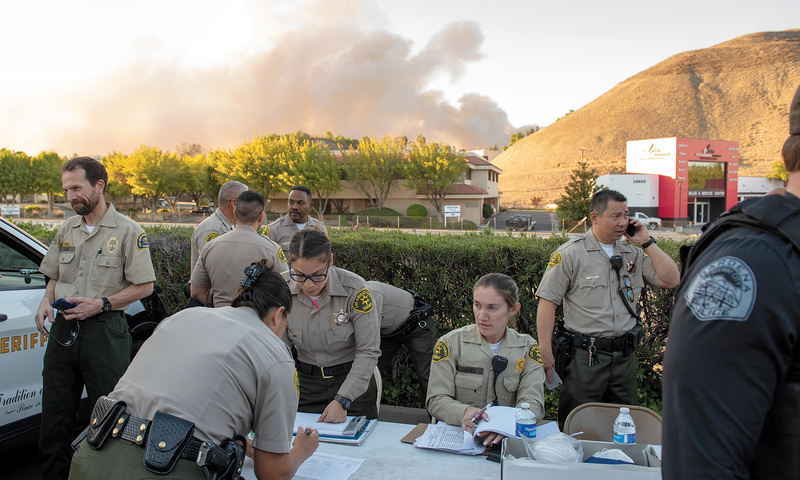 During the two weeks of battling the blaze, Los Angeles Sheriff’s Department personnel worked day and night assisting firefighters with evacuations, road closures and much more.